In 2017, we decided to expand our Family business into Vehicle Sales. We now offer a varied selection of used vehicles, with a comprehensive range of flexible finance packages to suit every budget. All our vehicles are inspected and prepared to the highest standards by one of our fully trained technicians prior to sale. All vehicles come with 12 months MOT and 6 months Warranty and the next years MOT at Jubilee Garage is also included in the price! We pride ourselves on presenting our used cars to a high standard, so all vehicles are professionally valeted inside and out prior to sale. To make buying your new vehicle as easy as possible, you can choose, buy and drive home in a NEW vehicle in a single visit. We also offer competitive part exchange prices. So what’s not to like? Visit us today! For an up to date list of all our Vehicles for sale take a look at our Car Sales Website. 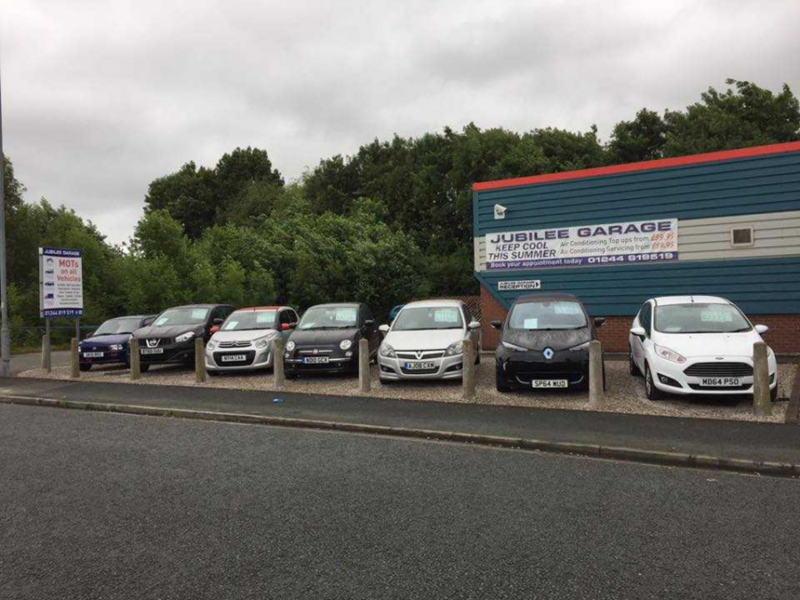 Purchase you new Vehicle today, call Jubilee Garage on 01244 819519 or take a look at our Car Sales Website.